In our line of work, it’s easy to get caught up in what needs improving out there in the animal welfare world. Despite the work that still needs to be done, there are so many shelters, rescues, and community groups that are doing excellent work right now. In a wide variety of groups – from large, well-established brick and mortar organizations to small, recently-formed volunteer groups – people are getting together to make a difference for animals and their people. Today, we’d like to share four ways that you guys are doing awesome work! 1. Community Outreach: Groups from coast to coast are recognizing the power of community outreach programs and funneling their energies into providing much needed and much appreciated resources for under-served areas. By providing positive, non-judgmental support to pet owners in under-resources communities, organizations can reach pets that are most at risk. Paws of Rochester, our neighbor here in New York State, is a non-profit organization focused on providing respectful and compassionate outreach programs in their community. They offer no-cost and low-cost veterinary care and spay/neuter services. Cheers to them for recently signing a lease on a space that will serve as a clinic providing high quantity/high quality spay/neuter services, as well as low-cost wellness services. 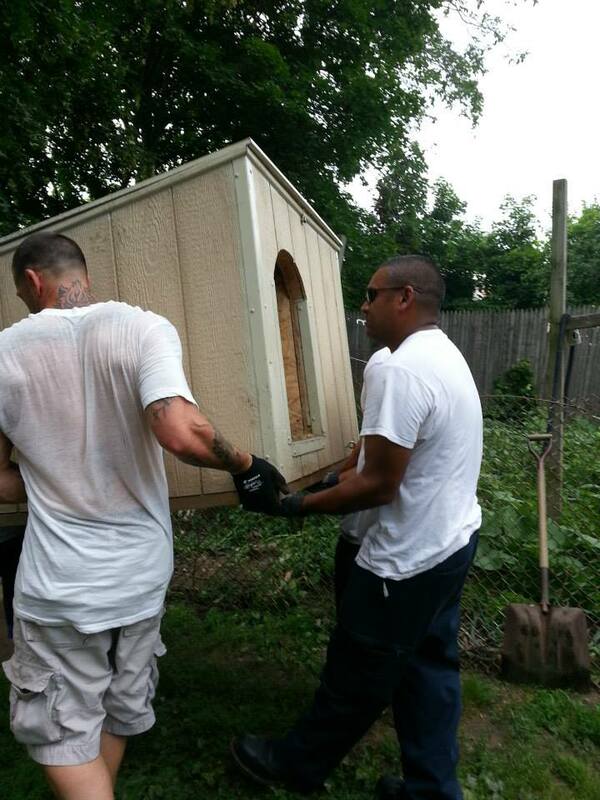 PAWS not only provides vet care, but dog houses and other supplies as well. The Pet Project, a nonprofit in Delaware, takes a holistic approach to community outreach by empowering pet owners in under-served areas. They offer affordable access to spay/neuter and wellness services as well as training and behavior assistance to families in need. 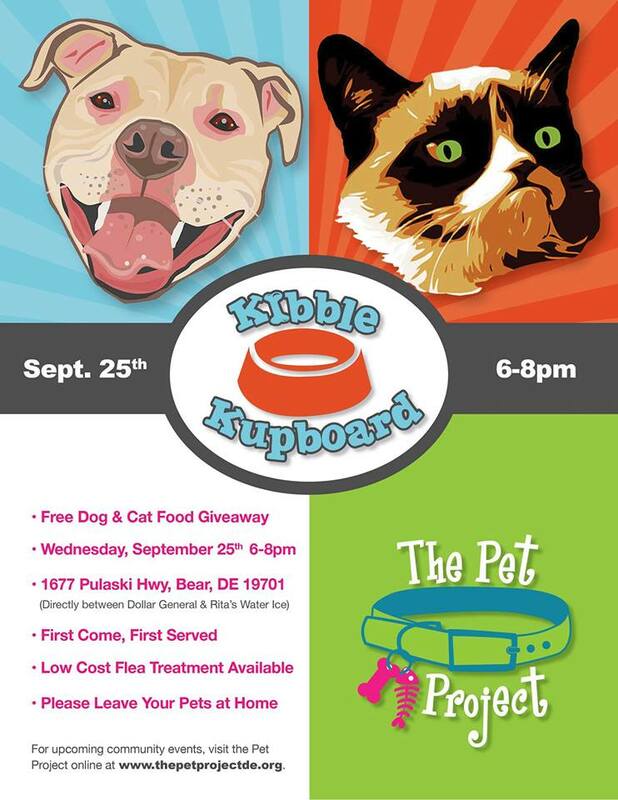 Their monthly Kibble Kupboard serves as a free pet food bank for their community. A Rotta Love Plus, a rescue and education nonprofit in Minnesota, offers community programs such as Dog Safety for Children, a therapy dog program that serves youth in crisis, dog training classes, and multiple Get Your Fix! Fairs every year to provide spay/neuter and vaccination services. This proactive group uses a “nose-to-tail” approach to address the issues faced by Rottweilers, “pit bull” dogs, and their owners. In doing so, they’ve become a powerful force for change in their community. A dog rests in his owner’s arms as he recovers from his neuter surgery. 2. Pet Retention Programs: One of the most effective ways to save lives is to prevent pets from entering our shelter system in the first place. Behavior issues, medical problems, landlord and housing issues, family crises, etc. – these are just some of the challenges pet owners face. With help from shelters and community organizations, many families are able to keep their beloved pets safe at home. 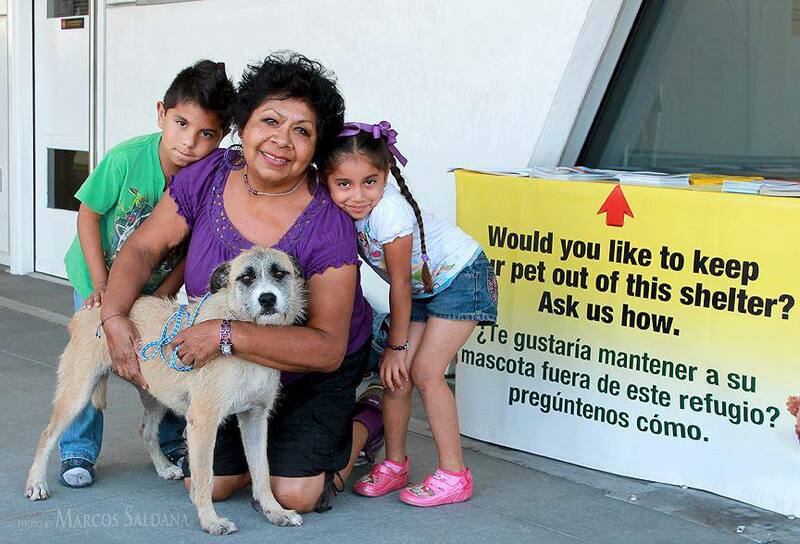 Downtown Dog Rescue: DDR in Los Angeles, CA implemented the Animal Shelter Intervention Program this year at the South LA Shelter. In just the first four months alone, this innovative program prevented 1,000 animals from entering the shelter system. The program offers a variety of services and resources to low income families, including free spay/neuter, wellness care, basic medical care such as mange treatment, ear infections, simple wound suturing, free dog food, and dog training. From fixing fences to assisting with pet deposits required by landlords, DDR always looks for a way to keep pets at home, with the families who love them. You can read more about their work here and on Facebook. SPCA Florida: SPCA Florida’s Ani-Meals program provides supplemental food, supplies, vaccinations and spay and neuter services to animals belonging to elderly and home-bound clients of their partner agencies: Meals on Wheels, Polk County Elder Services, and other food pantry organizations. By bringing services to community members and partnering with local social service organizations, Ani-Meals take a proactive approach and enables pet owners to keep their beloved companions at home. Ani-Meals serves more than 160 guardians and their 300 animals, which include dogs, cats, birds and even goldfish. Pets Are Wonderful Support, a nonprofit based in San Francisco, began offering services to support the human-animal bond more than 25 years ago in response to the AIDS/HIV epidemic. Today, they provide many services, including in-home care to more than 1,000 pets. 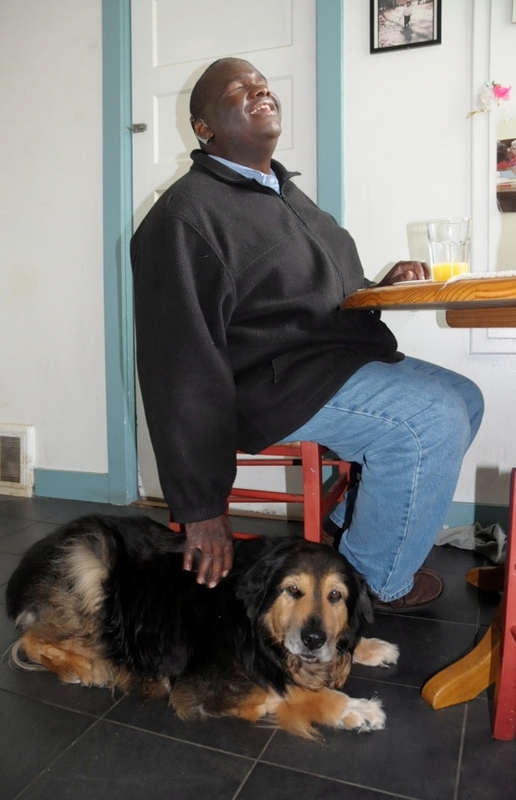 Their work enables some of the city’s most vulnerable pet owners – those that are chronically ill, frail, and isolated by disease or age -to keep their companion animals at home with them. 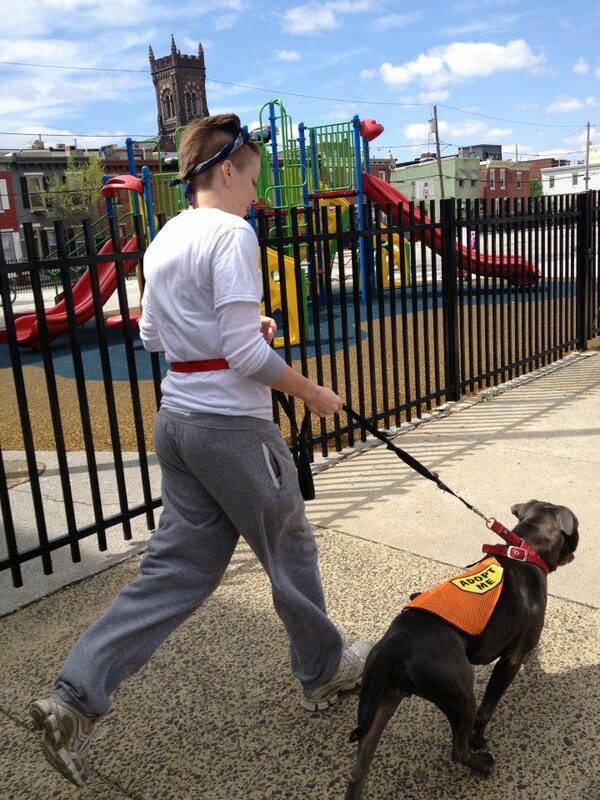 PAWS provides support to more than 800 disabled and elderly pet owners in their community. 3. Shelter Enrichment: Shelters are stepping up to increase the quality of life for their animals through a variety of programs. Keeping pets well, both physically and mentally, during their stay at the shelter not only keeps animals healthy, but it also helps them to make a good impression on adopters. Calm, happy dogs go home faster! Playgroups are up and running in shelters across the country. Not only do the dogs enjoy and benefit from their time playing together, but shelters have discovered that playgroups are an effective, efficient way to exercise and enrich many dogs at one time, instead of (or in combination with) working with the dogs individually. In addition, staff and volunteers learn more about each dog’s dog-dog social skills. This important piece of information can help dogs go home faster. And many, many more from Rochester, NY to Oakland, CA! The Monster Milers: This Philadelphia non-profit organization connects local runners with shelter dogs at the Philadelphia Animal Welfare Society (PAWS) and other area shelters and rescues. While the dogs wait to be adopted, this partnership with The Monster Milers offers them the chance to go on running adventures with dedicated volunteers. Through their runs in the city, the dogs not only burn off energy and have fun, but they learn manners and social skills. Plus they get great exposure to potential adopters! 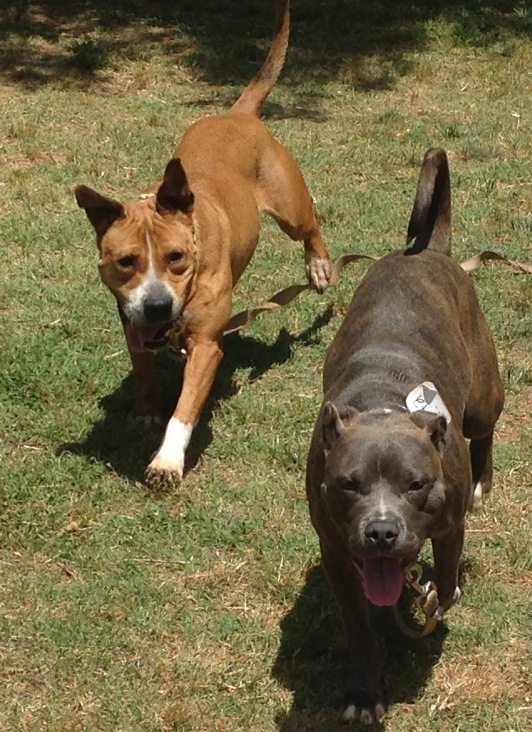 There are many groups around the country that offer similar running programs for shelter dogs. 4. Dropping Restrictions: Instead of relying on blanket policies and restrictions, shelters and rescues are dropping these ineffective barriers to adoptions. Progressive organizations recognize that all dogs and adopters are individuals and create adoption procedures that reflect this philosophy. Their fair, effective approach increases adoptions and saves lives. Washington Humane Society, located in Washington D.C., has done a complete turnaround in their policies regarding “pit bull” dogs. 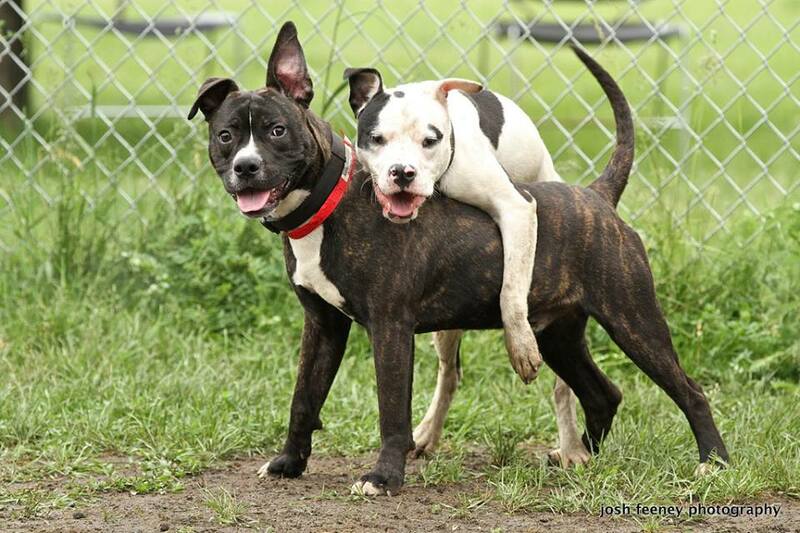 Just a few short years ago any dog with the label “pit bull” was automatically euthanized. Today, under the leadership of Executive Director Lisa LaFontaine, all dogs are treated equally and “pit bull” dogs are available for adoption without restrictions. 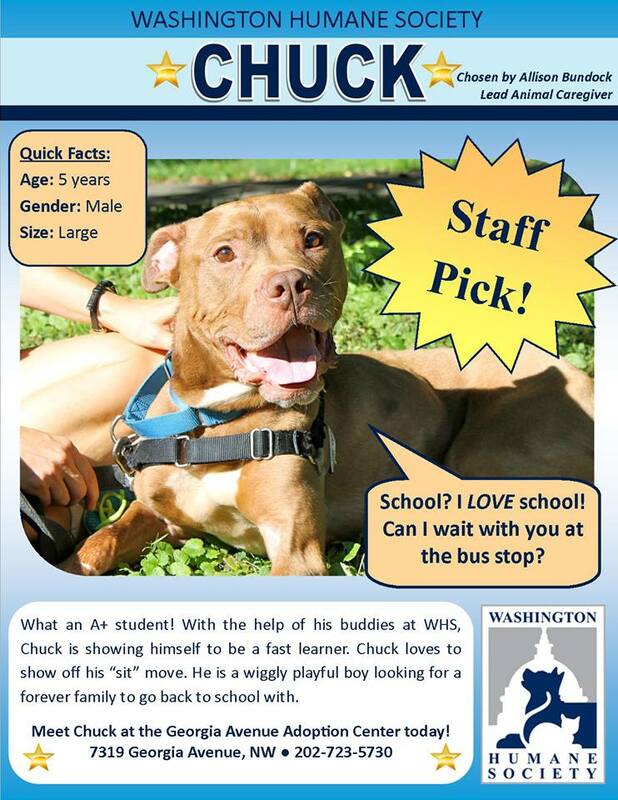 Once banned from the adoption floor, “pit bull” dogs like Chuck are now the pick of the week! Charlotte Mecklenburg Animal Care and Control dropped their former policy to euthanize any dog from alleged dog fighting operations. When a group of “pit bull” dogs was confiscated from a local fight bust this year, the shelter saw it as an opportunity to evolve. Rather than making assumptions about the dogs’ future behavior based on their past, CM ACC opted to view each dog as an individual. These recent victims of cruelty were given fair evaluations and many were made available for adoption – a most excellent first for this North Carolina shelter. This is truly just a small sample of the many organizations that are doing incredible work around the country. Thanks to the dedication, perseverance, compassion, and progressive policies of these groups, companion animals and their people are finding the support they want, need, and deserve. AFF is sending out a standing ovation to all of you who are on the front lines, doing this live-saving work. Bravo! Hi, really great to see this. I am chair of ACE Central MA (Animal Care and Education, ace4animals.org; also on FB) and we work closely with Fitchburg Animal Shelter and other groups as well as doing all-school presentations in our area about pet care responsibility and spay/neuter and recognizing abuse and neglect. For those who are volunteering at a Shelter — you don’t have to have the SHELTER have your 501 (c)3 — you can start another group that works with the Shelter. That’s how ACE shifted from an education group to education and animal assistance back in 2011. I look forward to reading more! Wow, this is so refreshing to read. You’re right, we do get bogged down in all that needs to be done or changed and often forget to stop and appreciate all the good work that is currently being done! Thanks for sharing this! This report of leading shelter and rescue practices is a brilliant idea! Yes, let’s look at what people are doing right and copy their methods! I co-founded k9 connection 8 years ago and we are consulting with other start-ups, free of charge, around the US and the world. http://www.k9connection.org We bring shelter dogs everyday to underserved high schools where selected students train them and and we help them transition into the work or college environment. Everyone, keep thinking of new out of the box ways to change the status quo! I would really love to be able to implement a spay/neuter program at the shelter I volunteer at. Unfortunately, we don’t qualify for any of your programs because we are not yet a 501c3, but desperately need help with getting some help to the community! If you did some research on the city, you’d know why. Thanks to AFF, I am now the official “flier” maker, mostly for the “Pit Bull” dogs at the shelter, but I do them for whoever needs them. I’ve also started a kennel enrichment program, as well as a photography program! This is all thanks to Animal Farm Foundation. I am attempting to implement a program similar to what Downtown Dog Rescue does; Helping folks pay for rabies/microchips/spay/neuter, and stray fees to get their pet out of the shelter. I have read all of your articles, watched all your videos, and write about you in my Blog and Facebook page for local Pit Bull owners/people. Thank you, AFF! Hello, I’m Becky King and I started a petition to stop chaining practices in Birmingham Alabama at change.org. When I contacted my city council administrator I was told until Birmingham had a spay/neuter program an ordinance would never be considered. I don’t understand the reasoning but if thats what it takes, so be it. My question is …where do you start. What steps should I take to get such a project rolling. I’m a 58 yr.old working woman with very little free time. I have a passion for animal welfare. In Birmingham you see so much abuse due to chaining and neglect. Dogs are used for alarm systems and when one dies they just get another. I am so desperate for help or sound advice. Please contact me at beckyking_55@yahoo.com if you can help in any way…thankfully Becky King. They have chapters in the Southeast and may be a good resource for you. So many good groups using this incredibly valuable resource and huge improvement in quality of life for the dogs. I am so proud to be associated with the Safe Humane Chicago volunteers who lead and run the playgroups for Court Case Dogs and many other dogs at Chicago ACC.